the memorial or tribute is mentioned in our quarterly newsletter. 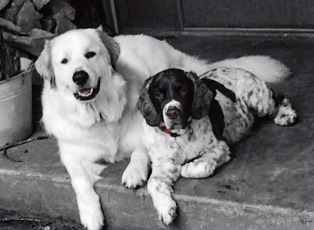 Donations are accepted in honor or memory of a beloved pet. These donations benefit our Pet Program. Our Pet Program helps us ensure that the people we serve are able to feed and care for their furry companions. Become a part of LMOW-literally. A Memorial Brick at Lubbock Meals on Wheels is a great gift for a birthday, anniversary, retirement, holiday, or any special event. Our bricks are professionally installed in front of the LMOW office. Each paver includes engraving of 3-lines of text, 15-characters per line, and costs $100. 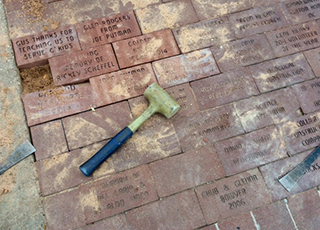 All Memorial Bricks will remain in a prominent location following the expansion of our building. Everyone loves the gift of a homemade treat. Pecans are heart healthy and contain antioxidants, 19 vitamins and minerals, and healthy fat-making them a healthy snack. One pound packages of locally grown and shelled pecan halves or pieces are available, year-round, at the Lubbock Meals on Wheels’ office for just $9.00! Come by now to pick up your pecans. 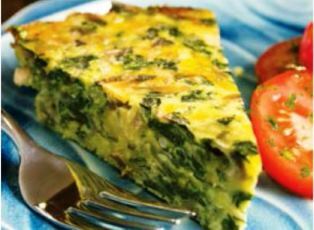 Come by Lubbock Meals on Wheels and pick up a quiche for your evening meal. We are open Monday – Friday from 8:00am – 4:30pm. Just pick one up and pop it in the oven frozen! Our 10-inch, ready-to-bake quiche is made in house and comes in seven varieties: Green Chili Chicken, Chicken & Broccoli, Mexicana (vegetarian), Ham & Cheese, Spinach & Mushroom (vegetarian), Italian Sausage, and Spinach & Bacon. Quiches are $14.50 or two for $28.00 (plus tax). These deliciously cheesy quiches are perfect for bridal or baby showers, a weekend brunch, when you have extra company in town, or just whenever you want a great and simple meal for your family. Be sure to get your “frequent quiche” card (buy 10 quiches and get one free)! You’ll know that your purchase is also helping feed the homebound, elderly, and disabled in our community as all proceeds go to Lubbock Meals on Wheels. Please bring recyclable aluminum cans to our office Monday – Friday 8:00am-4:30pm. Did you know, there is no limit to the amount of times aluminum can be recycled.